My review for Audrey, Wait! by Robin Benway is what I call AMAZING. Robin uses characters very similar to the teenagers in our world. I loved this book! The song lyrics seem so fun to dance to and it seems like one of those songs where you can't get out of your head! 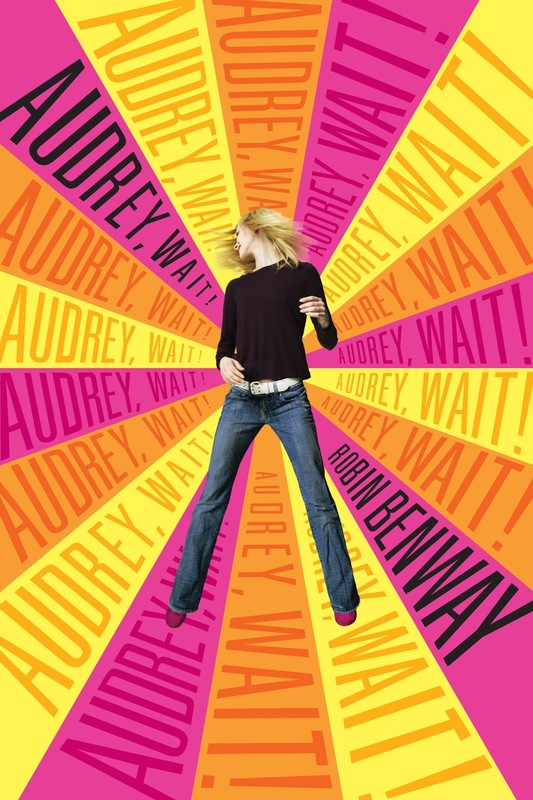 I really loved this book, Audrey, Wait! and I would request it to every teen who LOVES rockin out at rock concerts, listening to music, and just having the best time of their lives! Audrey, Wait! is basically a book about a normal teen named Audrey, who goes to a normal school and has a normal boyfriend who is a singer and is in a band named the Do Gooders. One day, Audrey decides it's time to break up with her boyfriend. So, she goes to his house after school and explains that she just wants to be friends. Before she got out of the house, she heard her boyfriend yell, "Audrey, Wait!" but she ignored him. At the Do Gooders' concert that night, Audrey heard a song written by her boyfriend a few hours after she broke up with him. Lo and behold, it was called, "Audrey, Wait!" From then on, Audrey will no longer be a normal teen living a normal life, with a normal best friend, but a celebrity who will be chased by paparazzi's from CD Stores to Rock concerts and will be getting phone calls and doorbell rings every two minutes. Get ready to soar into the world of the new celebrity who wasn't really a celebrity, in the fantastic book.